They are called the millennial generation, and as this generation enters our youth programs, youth leaders are finding themselves caught in the place where modern church programs collide with postmodern needs. Tensions exist between the needs of students and parents and the expectation of the church. Ideally, effective youth ministries will find ways to bridge the gap between the worlds through dialogue, education, and communication. However, society and religion have burned many of those bridges with the millennial generation, so how do churches shift to meet the demands of this new paradigm in youth ministry? YM2K: Youth Ministry for the Millennial Generation by noted youth minister and conference leader Sam Hestorff flows from a deep passion for youth ministry and a sense that in order to be significant to a postmodern generation of students, youth ministry has to be rethought and refocused. Through this honest and earnest discussion of the need for change to traditional youth ministries, you will find freedom and a renewed sense of creativity to bring the message of Jesus Christ to this unique and wonderful generation of teens. Sam Hestorff (D.min., Fuller Theological Seminary) has been involved in youth ministry for sixteen years in both full- and part-time capacities. He is the president of Rethink Ministry and has served as the Minister to Students at Bayshore Baptist Church in Tampa, Florida, for the past eleven years. As we in youth ministry struggle to find a way to care for kids and families in a culture out of control, Sam Hestorff has given us a timely gift. 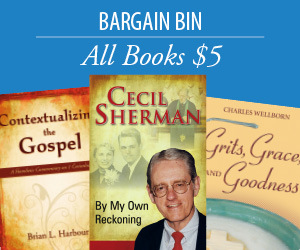 YM2K is a great book — clear, real, to-the-point, and theologically solid. Sam Hestorff has put together an excellent resource helping us rethink youth ministry to this unique generation of students. Statisticians tell us that this generation of teenagers is the largest in US history since the Baby Boomers, some sixty million strong — and they think and act like no generation before them. 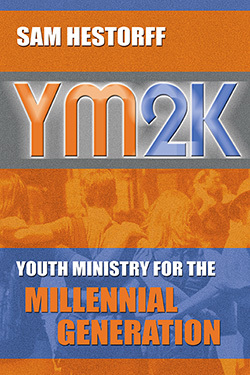 YM2K can give your ministry, your leadership team and your parents practical tools to minister to this age group.